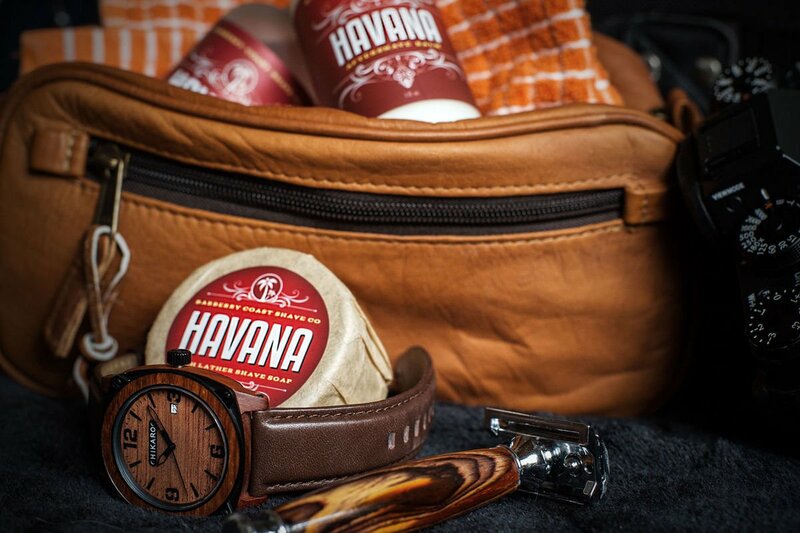 Bay Rum is one of the oldest recorded shave scents. It brings back the nostalgia of old school barbershops and our version is considered by many bay rum enthusiasts to be the best modern version of this classic Caribbean formula. Barberry Coast's uniquely masculine scent of bay rum is a carefully crafted blend of all-natural oils, extracts and absolutes - completely free of all synthetic fragrances, dyes and preservatives. You never have to worry about what synthetic and harmful chemicals will do to your skin. You deserve the best. Handcrafted with all natural, premium ingredients. Each batch of our Bay Rum is filtered and aged to perfection. Safe, healthy and good for your skin. No synthetic chemicals and no artificial colors. Formulated with a unique blend of all natural exotic spices & citrus, essential oils and extracts and the essence of bay leaves from the West Indian Islands. - Sulfate Free, Paraben Free, No Phthalates, No Dyes, Never Tested on Animals, Vegan, no GMO oils. Will NOT leave your skin dried out like most alcohol based aftershaves. Carefully formulated with 100% pure glycerin to provide re-moisturizing of your skin. Instantly awakens your senses with a crisp, manly burn that quickly diminishes and leaves your skin refreshed, moisturized and toned. Ingredients: Purified water, alcohol, vegetable glycerin, fragrance (blend of essentials oils, extracts and absolutes). Also includes: Masculinity, Courage, Good Taste and Valor. We carefully and painstakingly age our bay rum a minimum of 30 days. We do this to ensure a complete blending and total harmony of the all-natural oils, extracts and absolutes. The result is a superior aftershave with an amazing scent that instantly awakens your senses with a crisp burn that quickly diminishes and leaves your skin refreshed, moisturized and toned. Bay rum is one of the oldest recorded aftershave scents. It brings back nostalgia of old school barbershops but it's linked heavily to grizzled sailors and the Caribbean Islands. When the Old Grizzled Sailors used to set foot upon the shores, with beards gnarled with salt and sea, and beards not seeing a razor in months, they only had one destination. Before, these hardy men would shake and shiver to think of their first shave on land, cold steel scraping over skin that was rough like barnacles. That is, until they stepped foot inside Barberry Coast Shave Co. Where the wonders of a wet shave would save them from the Riptides of Despair. And when these Salty Dogs left the Barberry Coast Shave Co., they would do so as NEW MEN in the NEW world, Clean Shaven and washed and ready for a night on the town Looking for Stiff Drink and a Soft Woman. This is the best Bay Rum I have ever used. The perfect balance that a Bay Rum should have. Very satisfied. You now have a customer for life. Thanks BARBERRY COAST.